The New York Times recently highlighted late-life divorce (also known as “silver” or “gray” divorce) and how it is becoming more and more common in our society. According to the National Center for Family and Marriage, between 1990 and 2014, divorce rates for those ages 50 and up doubled, and were even higher for those over age 65. And for those who were in their second marriages (and potentially grappling with issues related to having a previous family and/or potential financial issues), the rate was even higher. According to some experts, this pattern can partially be explained by the fact that people are living longer and see themselves as having more options, or rather, better options; in other words, if they are going to live another 30 years or so past age 60, who do so unsatisfied? In addition, separation no longer carries the stigma it once did, leading some couples who have been married for even 40 or 50 years and have several children to seek out separation while they contemplate the next step–divorce. In addition, for older couples, children are typically old enough such that they do not need to stay in an unhappy or unsatisfying marriage for the sake of young children. Some, in fact, state that by divorcing, they hope to be a better role model for their kids, setting a higher standard for what to expect out of a relationship. Unfortunately, economics still play a large role concerning women, in particular, remaining in unhappy unions. Women are still paid less than men overall, and live longer, potentially placing more hurdles in the way regarding independent but comfortable retirement. However, the article describes several women who, regardless of the financial concerns, described living better lives after their late-in-life divorce. While in the past, separation and divorce often held a stigma of two people who could not make it work, many are now realizing that sometimes it is just a matter of growing apart. If you live in the state of Florida and are thinking about separation or divorce, contact us for assistance with practical advice and sympathetic representation. 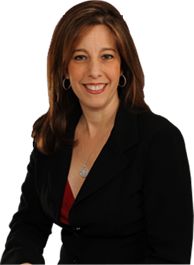 At the office of Sandra Bonfiglio, P.A., we regularly work in all areas of family law and represent clients in Boca Raton, Fort Lauderdale, and surrounding areas figure out the best path forward for themselves and/or their families.